For most internet marketers, when Off Page SEO is mentioned, the thought of backlinks is the only thing that comes to mind. While this thought would have been spot on just a few years ago, now, there are many other things that you can do to have much better results than what you could see in the past from backlinks alone and that is implementing effective off page SEO elements. In order to get these results, the first thing you must do is understand exactly what modern off page SEO is. 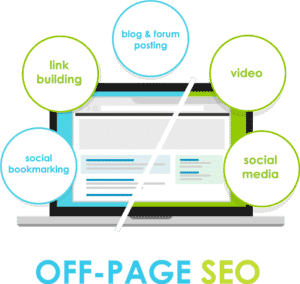 Essentially, modern off page SEO is the art of being able to bring in traffic to your websites and online properties from other existing sites and sources. You must understand that this practice is not the backlink building practices from years past, and if you’ve checked out this post on my contrarian view on backlinks, then you can understand why. Instead, this is the active practice of increasing visitors by providing them with quality content and engagements so that they want to learn more about you, your business, and what you have to offer. So, you’ve created and great site and already knocked it out of the park with your on-page SEO strategies, right? If not, then you should head over to this post which gives you the Top 5 Effective On Page SEO Elements where I give you a bit more information on the steps that you need to take to get the most SEO power possible from your on-page efforts. Now that you’re seeing some results from those, it’s time to get rolling with your off-page SEO strategy, and there’s a few important reasons why. First, you have the obvious benefit of drawing in more traffic to your site and as we all know, more visitors equal more conversions which means better rewards for your efforts. Second, you have the benefit of building up yourself as a stronger authority in your industry. This means that people will begin to recognize you by name, increasing your recommendation power, and thus allowing you to carry more strength when it comes to developing an audience that will follow you from site to site and platform to platform. This is also known as author branding. The third reason that creating a powerful off page SEO strategy is essential to your success is that it will help you to build site authority. This will result in more people knowing about your site, telling their friends, family, and coworkers, and ultimately helping you to build a stronger presence in your niche. Finally, as I’m sure you can easily imagine, building out your off-page SEO the right way will also help you to increase your site’s rankings on the search engines. This will help you bring in more consistent visitors and that will help you to further build your audience and following. In fact, Google still considers off page SEO elements a very large metric factor when it comes to ranking sites in their search engine. Watch this video to hear what Matt Cutts says about it. So, now you understand some of the benefits to having proper off page SEO in place, let’s get started with the top 5 things you can do to get started. The very first thing that you are going to want to do in order to really start boosting your off page SEO efforts is to get rolling with your social media efforts. There are a ton of them out there, and it’s very important that you find where your target demographic is hanging out for the best results, but the two big ones that you are generally going to want to have are Facebook and Google+. According to Statista in 2015, Facebook had 46.5% of the U.S. social media market share and is growing. Google+ has a significant smaller market share of social users, but the posts and effort you add in Google+ can positively affect your search results. 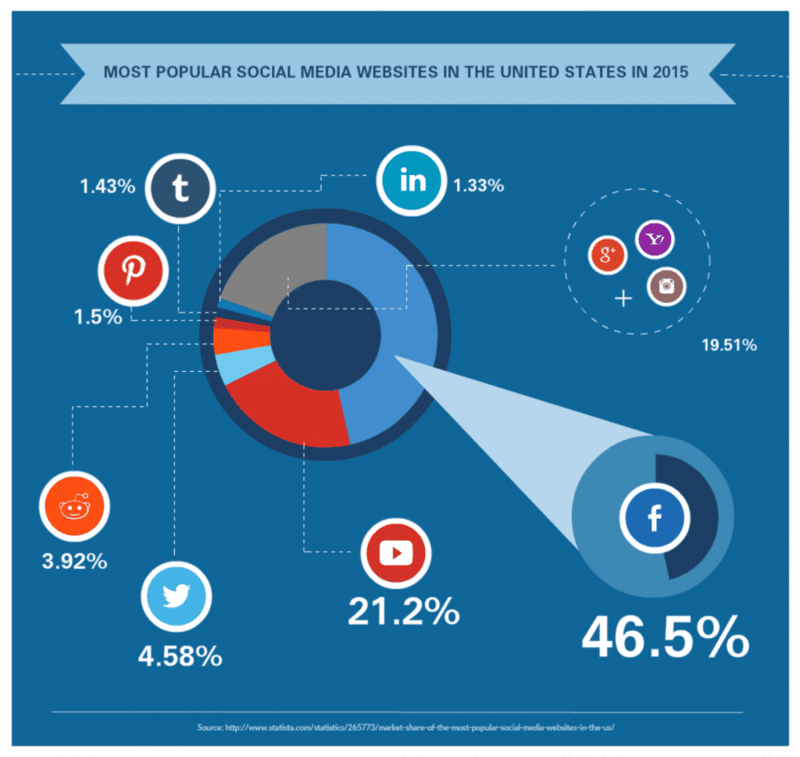 Have a look at this infographic on the Top 7 Social Media Sites Market Share Percentage. It’s the biggest social network out there for a reason. It’s very easy to find communities that you can get involved with about your niche, and the page management features that are offered will allow you to easily manage your online business’s presence on the platform. If that isn’t enough, Facebook also allows you to advertise for very reasonable rates in order to get higher post exposure to what you put on your pages. When you combine your demographic knowledge with the low cost targeted ads available, you can really send your website’s traffic through the roof with your Facebook business page. Another great benefit of Facebook is their new live video feature that will let you quickly get a message out to a large amount of your followers on the platform. This means that if you happen to stumble across a great value for a piece of software you use, you can quickly share the message and drive traffic to your page or to an affiliate offer. The second network that I recommend is Google+, and for a few good reasons. First, it’s owned by Google, and there have been findings over the years that show +1’s, the Google+ equivalent of likes, help to increase the rankings of posts that they’re linked to. This means that if you write a new post on your site and post a link to it on your business’s Google+ page, and people start +1ing it, you are going to see some rewards for that in the form of higher search engine ranks. Second, the Google+ Collections feature allows users to create and manage groups of websites or website content and then share them with friends on Google+.  These collections can be a great way to really get your site discovered by a lot of people who are hanging out on the network really quickly. Regardless of what social network you choose to participate in, the most important thing you need to always remember to do is to make sure that you engage your audience on the network. All too often, you will see businesses post content that is being talked about quite a bit, and you never see them come back to respond to the comments and questions being asked. Just remember, if you’re not being social with your audience, then you are leaving a lot of money potentially on the table. 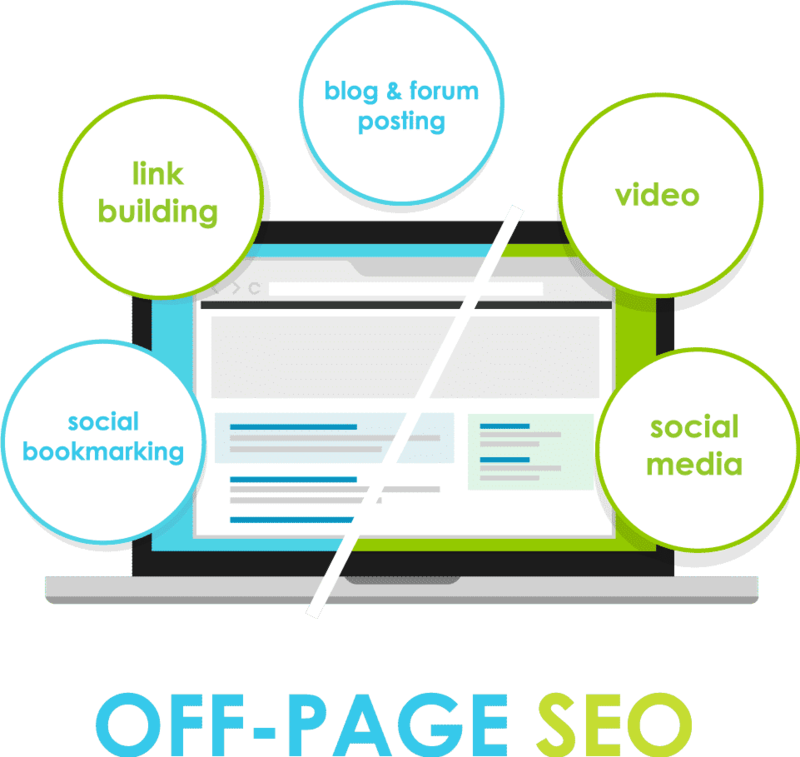 The second thing that you are going to need to do for your off page SEO work is to create social bookmarks. Now, the first thing you need to know about social bookmarking sites is that they are completely different from social networks. How are they different? Well, for starters, the way that content is typically delivered on them is generally by a kind of category of interests. When you sign up for one of the social bookmarking sites, you select things that you are interested in. The sites will then provide you with various articles, blog posts, videos, and other forms of content that have been added to the network in those categories. People then vote whether or not the content is useful, and the networks will then display the most liked content for each category. This site is basically like a news feed of the most popular stuff being talked about online. A successful post here will result in quite a bit of traffic for your site as Digg receives right at 20 million unique visitors per month as you can see below. Stumble Upon is a really neat platform if you’ve never visited the site before. Be warned though, it can be a very distracting site once you’re on there, but that’s a big part of its’ appeal. Basically, the way it works is that once content is submitted to the platform, it begins to cycle randomly to people in their chosen categories of interest. People then have the option to “thumbs up,” or “thumbs down” the content that they’re seeing. The more thumbs up responses you get for your content, the more frequently people using Stumble Upon will see it. A well written and popular piece can literally bring thousands of new visitors to your site in just a few hours, and since it ties directly into Facebook, you will find quite a few people that like it will also share it on their Facebook accounts. As you can see below, Stumble Upon is not quite as popular as it once was, but it still sees right around 16 million visitors monthly, and they also offer apps for web browsers and cell phones that may not be accounted for in this image. As one of the most visited websites on the Internet, Reddit is often referred to as “the front page of the Internet,” and with good reason. While going viral on any social bookmarking site can bring you thousands of visitors quickly, going viral on Reddit is a totally different experience. This is largely because the users of Reddit are not afraid to make certain that their voices are heard, and if you provide solid content, they will reshare your site on multiple social networks. There’s a catch here though as many Redditors do not appreciate marketing or advertising messages at all. So, provide them with quality actionable how-to’s, lists, etc… and keep the product review stuff over at Facebook and Stumbleupon. How much traffic does Reddit really get? Well, as the 25th most visited site online, Reddit sees some pretty impressive traffic in the tune of 1.2 billion unique visitors every month, as the image below reflects. While most people know that YouTube is a very highly visited site, third on the internet with a whopping 22.7 billion monthly visitors as seen below, most people don’t realize that it is also the second most used search engine online behind Google. Why is this a big deal? It’s actually a huge deal as people come to YouTube to be entertained and educated. Meaning that if you have something you are wanting to teach, then YouTube is going to be key to your success. On top of that, when you start creating YouTube videos and embedding them on your site as well, you can quickly see an uptick in search engine rankings as well as overall visitor engagement and also a big increase in average visit duration as people will typically watch over half of your videos. Having a good presence on YouTube can really bring a whole new element into your marketing arsenal and deliver tons of targeted qualified visitors to your site. YouTube also acts as an additional social network atmosphere as people can comment on your videos and allow you to respond, which will help you become more of an authority figure in your niche on the platform. Also, you can repurpose any videos you shoot for YouTube into other media forms such as articles, slide shows, podcasts, and more. Plus, every time a video of yours is shared or embedded on another site, your video will gain more views, higher placement, and they can also even rank on their own in the search engine results. Yes, some people do enjoy getting their content in a slide show kind of format. This is where SlideShare comes into play. This site allows you to create and upload slide shows that can deliver your message in bite size little chunks on each slide and take advantage of images and other media as well. While it doesn’t have quite as much traffic as some of the other sites mentioned above, many people will often share what they find on SlideShare to other social networks, and the links that come from the site are often highly trusted in the eyes of the search engines. A very popular tactic for building backlinks in the past was to go to various blogs online and try like crazy to put links all over the comments section of the sites. 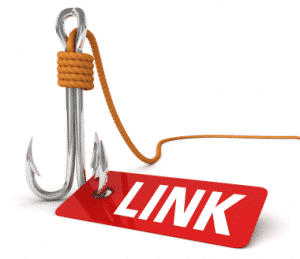 While you are still wanting to pop a link in the area you’re allowed to, you aren’t trying to build backlinks to your site anymore. Instead, in order to have the best results, you want to try to find around 10 of the biggest blogs in your niche and actively comment on them with good, relevant comments that will further benefit future visitors. Another great tactic is to create a comment that adds to the original post, but also allows for the author to respond to you by answering a question or providing additional information. This will help you form relationships with other bloggers in your space and also help you gain more traffic as people will click over from your comments to your website. The main thing to remember if you’re going to do this? Make sure that you are posting your site on relevant blogs. If you run a lawn care site, don’t link back when commenting on cooking sites, for example. Darren Rowse has a great thought on How to Find Readers for Your Blog Through Commenting and Relationships. Let’s face it, the very best way to engage with your audience is to provide them with high quality content that will help them to solve a problem or gain more knowledge about something they’re interested in. If you can do this really well, it’s by far the best way to increase your off page SEO as other bloggers will also start linking to your post as a resource for the niche. Don’t believe me? Well, over at Pajama Affiliates, they thought the same thing. Not enough proof for you? Well, Associate Programs shares a very similar view as well, and for good reason. People love to share things that are beneficial to others, and the same thought process applies to websites and their audiences. If you create quality content that will help others in your niche out, then don’t be surprised to see many other sites in your marketplace sharing that content to their audiences. How can you create content that is attractive to be re-shared? For starters, look at what is popular in your niche right now. Sites like Buzz Sumo, Stumbleupon, and Twitter Advanced Search, are great places to start. Basically, once you find what people are enjoying in your niche, just create something a little bit better. As you can see, there are a lot of different ways that you can start to increase your SEO by using these effective off page SEO elements, and none of them really take a long time to implement. While it may take a little while to see results, having a solid off-page SEO strategy in place is very important for the long-term success of your online business. Have you implemented any of these yet or am I missing a specific off-page SEO strategy? Let me know if your comments below. So far I’ve only used social networks as a form of back-linking (G+ and Pinterest). But after reading about all the others clearly I’ve got quite a bit of work to do. I’ll probably start with the social bookmarking site first and then gradually work my way through the methods. All i’ve really focused on at the moment is on-page SEO so maybe this read was just what I needed. Thanks for the fascinating look at more ways to optimize search engine searches. It gives me a whole other arsenal of things-to-try with my own marketing efforts. I’ve bookmarked your page for later, deeper study. It sure has opened up new paths me to explore! I do appreciate your work…. Pretty good stuff here that you are sharing. I’ve know that Youtube is one major social media that you never should ignore. But I didn’t know it is second only to Facebook. I guess it’s time to plan some marketing strategy on Youtube. As for StumbleUpon, unless your page is high quality and grab attention, the traffic quality is going to be poor with very high bounce rate. Thanks Jay for the great information. SEO is really tricky for anyone who is not at all technical ( like me) but your explanation was perfect for me. I have used FB and Twitter but I can now see why to up the anti and do so much more. 10 + stars! Hi there Jay! I just finished reading your article on off page SEO and thought I would just drop you a comment to say thank you. This is a great article that really made me think about what I was doing in terms of off page marketing for my website. We have a lot to do as bloggers don’t we? Although I am doing quite a lot of work with social websites like Twitter, Facebook and Google plus, I am simply not getting around to those social bookmarking sites. I have done a few Youtube videos but that’s about it. I want my site to do well and I work hard at getting the word out and increasing my visitors. I find that time is a big issue for me. After creating content for my site and then sharing it accross mutiple social media sites, I don’t have that much time left for social bookmarking and creating Youtube videos. Do you think its a good idea to concentrate more effort on just a few social media sites? Or would you say its better to do a little across a larger number of social media and social bookmarking sites? Thanks for your help Jay! Great article. Hello here. Thanks for the valuable information about off page SEO elements. It seems that it is not enough just create the content and visitors will flood your site. Especially if the website is about the highly saturated niches such as health problems or money earning, it is difficult to attract visitors just with the help of great keywords. The social media plays the enormous role in the traditional lives of ordinary people. I have in mind the people who can not imagine the day without Internet. They are visitors and later on customers who look for the information and best deals online. They are like the engine which gives a push to the life for affiliate marketers and online stores. These visitors will share information as you mentioned in your article on the Facebook or YouTube if they like the content or products. I will bookmark this article as the reminder how to use social networking sites for my website. I spent a lot of time researching, learning and adopting on page SEO techniques and best practices, but I hadn’t really thought about the offline variety. I have made use of social networks, though with only limited results. I feel I need to get into video and create some videos for YouTube and the like. It’s another medium with which to engage people, and it’s probably a little more effective than just typing some words on a page. Thanks so much for this great info on off-page SEO. It appears I didn’t really know much at all about off page SEO as I pretty much just thought there were backlinks and Social Media but I did not have very many details. The social media part is fine and I do use Facebook a lot for boosting my posts and now we have added videos so we will be promoting a video and a post every week and something special for a Christmas promotion that we haven’t quite worked out what yet. Also those bookmarking sites I have never heard of Digg until I read it just now and I’ve see the name stumbled upon but I didn’t know what it was. Right now while adding more to the website, like now videos are being added but at this point in time we are just finding videos on youtube and embedding them to watch on our site. There was one thing I wasn’t sure of about videos. I know that the video creator has some specific things they can do on their youtube channel and each video but if I am just borrowing a video and embedding it on my sit is there any SEO I can do to add to the post or page the video is on even though it is not created by me? We do plan to start creating our own videos in 2017 and sell downloadable info products like e-books about obedience training and various dog related stuff. Another thing I wanted to ask you was about infographics. I would love to learn how to create these myself because I really like them, and I was wondering if you know of a training course or set of instructions to create an infographic using some tool. I have seen videos out there on using Canva, adobe illustrator, Photoshop, Powerpoint and even in Word. Do you have any recommendations on which tool I should learn to make the infographic on and if there are any training courses on that? I’ve watched several videos on it but something is missing and I think it is a set of written, easily understood and correct instructions to go along with the video and I’m not sure right now where to get this information or if I should just give up on this and try and hire someone to do it. I have a hard time thinking about hiring some unknown person to do anything like that especially if you have to pay them first. Thanks for the great ideas for effective off-SEO. The problem for me with social networks is that they can be so darn distracting. And, Facebook creeps me out. I really don’t want people from my past hunting me down. No, I’m not running from the law, I’ve just moved on with my life. I’m active on G+ and YouTube. Good to know! I haven’t heard of Digg or Stumble Upon before now. Can anyone put their content on these sites or no? You mentioned a little bit about how Stumble Upon works but can anyone try submitting? That would be awesome to get so many views if people like my content. Wow! Some things I did know, including things I did know but haven’t done or done a lot. I think posting to Dig and Reddit more often will be my next plan of action along with creating a new YouTube channel. Sounds like a lot of work to get traffic, but I think it’ll be worth it…and fun! I am very surprised by the small numbers Twitter has as far as social media coverage, that did surprise me. I am also surprised by the fact that Youtube is number two as far as a search engine, that is very impressive and needs to be taken advantage of for sure. I agree with your article jay, and I think I will check out a couple of your suggestions I am currently not using. What I would like to know more about is this slide share, i am off to take a look now, great article! Hi Jay Neill , Thanks for sharing this blog related the off page techniques. It’s really helpful to me to generate quality back links to my website. I got the better rank results with this. I never looked at social marketing as off page SEO, but the way you put it, really brought it into perspective. Those statistics on all the social medias where quite an eye opener. I’ve been taking your advice from your last post “Top 5 Effective On Page SEO Elements” and been adding them to some of my old reviews. To be honest, when I first saw it, I thought you were talking about off internet SEO, but I finally figured it out when I read it through all the way to the end. What is your favorite social media platform to work with? I’ve been mainly using twitter for my off page SEO and just casually posting to the rest of them, simply because I’ve had a lot of traffic from twitter. I have just started my online marketing journey a couple months ago so right now I am learning as much as I can. You gave me a lot of great ideas to improve my site. Since I read your article I have already created a facebook page for my site and going to do an instagram profile too. Will also check out your courses and lessons .